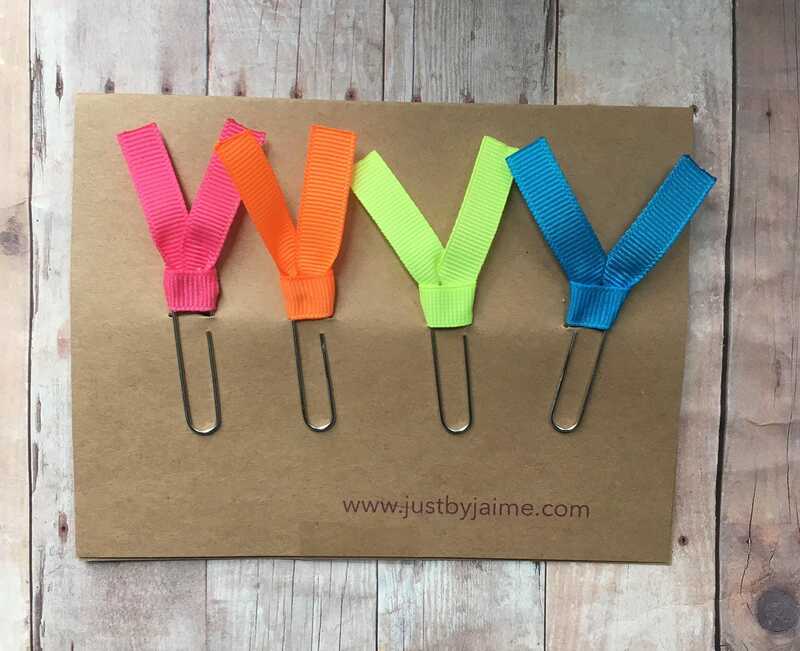 Each set has a neon pink, neon orange, neon green, and neon blue ribbon clip. Gold or silver toned clips are available. This set makes a great teacher gift or a gift for a planner lover.